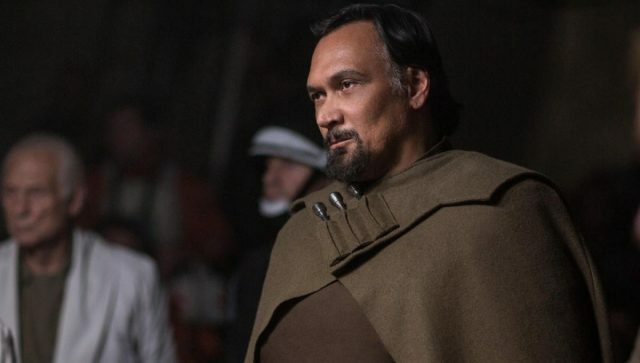 According to Collider, Golden Globe winner Jimmy Smits (NYPD Blue) is in the final negotiations to join the cast of In the Heights, Warner Bros’ forthcoming film adaptation of Lin-Manuel Miranda’s award-winning Broadway musical. Smits is set to play the role of Nina’s father Kevin, who is described as a proud and hardworking businessman. Smits is best known for his role as attorney Victor Sifuentes in 80’s legal drama L.A. Law which has earned him an Emmy Award for Outstanding Supporting Actor in a Drama Series. He has also won a Golden Globe award for his role in the 1990s police drama NYPD Blue as Detective Bobby Simone. His notable film credits include The Million Dollar Hotel, Price of Glory, and the Stars Wars prequel trilogy. Smiths joins previously announced cast members Anthony Ramos (Hamilton, A Star is Born) and Corey Hawkins (Straight Outta Compton), who are set to portray the roles of Usnavi de la Vega and Benny, respectively.